In this paper a “topologically consistent” representation for images is presented. It is called the Frontiers Topological Graph and is derived from the combinatorial maps model. 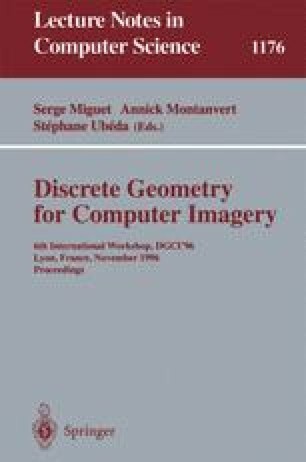 Thus it establishes a link between image analysis and image synthesis. An efficient algorithm which constructs the Frontiers Topological Graph is developed. Supported by a postdoctoral grant of DIMANET.